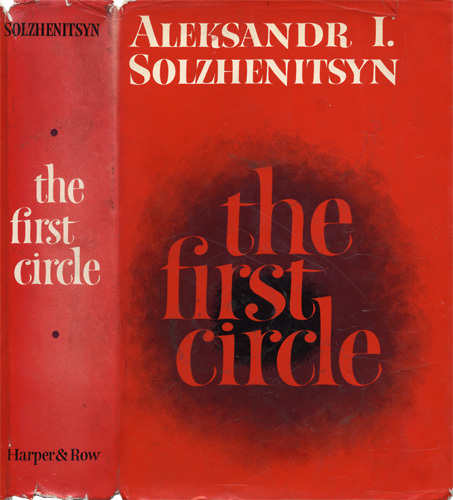 Solzhenitsyn, Aleksandr Isaevich. The First Circle. Translated from the Russian by Thomas P. Whitney. New York: Harper & Row, . xiii, 580 p., 25 cm. Dust jacket design.